The rise of 'Alpha-Maintenance Woman', who is prepared to stop at nothing in her quest for perfection, represents a core shift for brands, writes Nicola Clark. For any readers currently having their hackles raised by Big Brother, let me introduce you to Bridalplasty, the US reality TV show. Airing on Sky Living in the UK, it features 12 women competing to win a dream wedding and an array of plastic surgery procedures. Those brides who leave the show each week are told by the host that their wedding will still go ahead; it's just that 'it won't be perfect'. This quest for perfection - albeit a dead-eyed, ironed-out flawless, somewhat depressing version of it - has continued unabated in the UK, regardless of the economic downturn. The so-called 'lipstick effect' is no longer enough; the Botox and cosmetic-surgery industries are booming in spite of the recession and high-profile health scares. In the UK, women accounted for 90% of all cosmetic procedures in 2011. The top ones were breast augmentation, up 6.2% from 2010, followed by blepharoplasty (eyelid surgery), which increased by 4.8% to become the second-biggest procedure for women; in third place were face- and neck-lifts, with 4700 procedures. Analysts at Goldman Sachs estimate that the global beauty industry is growing at 7% a year, more than twice the rate of the developed world's GDP. While beauty companies are at pains to out-innovate each other, their investment in marketing far outstrips investment in research and NPD. The beauty industry, which has long played on the fear of looking ugly, just as much as the pleasure of looking beautiful, to shift products, simply can't keep up with the growing expectations of this new breed of 'Alpha-Maintenance Women'. These women are looking for more than mere 'hope in a jar'. In effect, the impossibly flawless, heavily airbrushed ideal presented by most beauty brands has been a huge gift to the cosmetic-surgery industry, which, for better or worse, shows no signs of slowing down. Almost 4m (20%) of adults who would have or have had cosmetic surgery cite the reason as making themselves look younger, according to Mintel. Adults aged 45-54 are most likely to want surgery for this reason. Women are more likely than men to be unhappy with the way they look. There has been a sharp rise in the proportion of teens who would consider cosmetic surgery. Young people are more self-conscious about their appearance and 63% of 16- to 24-year-olds would have surgery to feel better about how they look. Non-surgical work is estimated to account for more than nine in 10 cosmetic procedures and almost three-quarters of value in 2010. 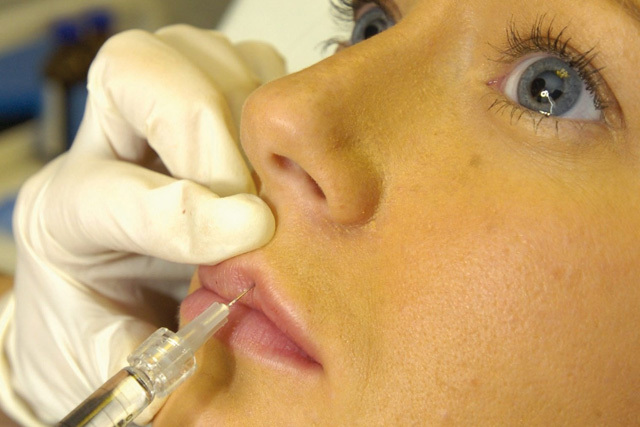 Some cosmetic procedures have entered the mainstream. Brands seeking to reach 'Alfa-Maintenance Women' should think carefully about how to do so. With ideals of beauty and success shifting, these women demand unparalleled privacy and exclusivity.